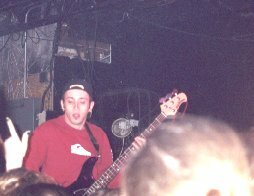 Here are some pictures I took of bands. 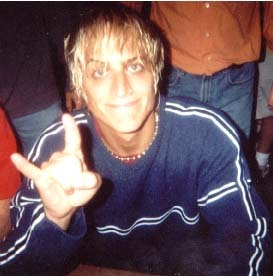 This is a picture of Brett Scallions, the lead singer of Fuel. It was taken at Reservoir Park in Harrisburg, Pa this summer at a concert called A Day in the Park, which is hosted by a local radio station every summer. This is a picture of Kevin, the drummer, and Carl, the guitarist of Fuel. 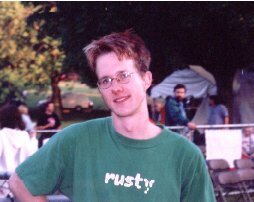 It was taken at the same concert as the picture of Brett (above). This is a picture of Pete and Jeff (on guitar) of The Badlees. 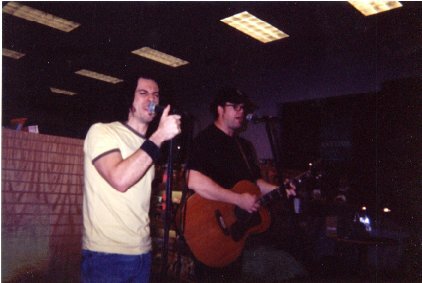 It was taken in the winter of 2000/2001 at Borders Books and Music in Camp Hill, PA. This is a picture of Darryl, the lead singer of Aztek Trip. 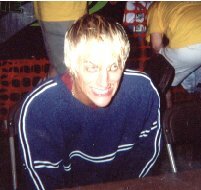 It was taken on March 22, 2001 at Crocodile Rock in Allentown. This is a picture of Dave, the bassist of Aztek Trip. It was also taken at Crocodile Rock on the 22nd of March, 2001. 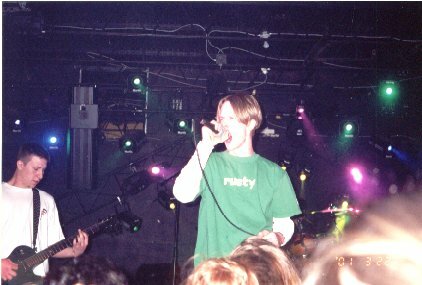 This is another picture taken at Croc Rock on the 22nd of March, 2001...Matt is the guitarist (on the left), and Darryl is the lead singer (in the center).